Prince’s musical and fashion legacy were on display at the 2016 BET Awards, which were held on Sunday at the Microsoft Theater in Los Angeles. Musical artists Beyoncé, Kendrick Lamar, Anderson .Paak, Usher and Alicia Keys all gave memorable performances throughout broadcast that lasted more than three and a half hours. But the night belonged almost entirely to Prince, the late 57-year-old superstar known as The Purple One, whose death in April inspired many of the show’s most heartfelt moments. Artists Erykah Badu, Maxwell, Stevie Wonder, The Roots, Jennifer Hudson, Sheila E., Bilal and others sang their way through several of Prince’s hits, and awards were handed out to many of the biggest names in film, TV, music and social/political activism, including actors Jesse Williams and Samuel L. Jackson. Tennis player Serena Williams and Golden State Warrior Stephen Curry were awarded the sportswoman and sportsman of the year awards. Many who made this year’s best-dressed list embraced a few of Prince’s own tried-and-true, red-carpet tricks: soft pants worn over platform boots, Nehru-style suit jackets, as well as shirts and tunics with stripes, fur, lace, floral patterns, snood-like hoods and intricate, colorful patterns. LOS ANGELES, CA – JUNE 26: Singer Janelle Monae attends the 2016 BET Awards at Microsoft Theater on June 26, 2016, in Los Angeles, California. Singer Janelle Monae rocked a sequined, bell-bottom Sass & Bide suit as a sartorial tribute to Prince. Her pedicure, a pale purple color, served as the perfect subtle homage to the late singer. LOS ANGELES, CA – JUNE 26: Rapper French Montana attends the 2016 BET Awards at Microsoft Theater on June 26, 2016, in Los Angeles, California. 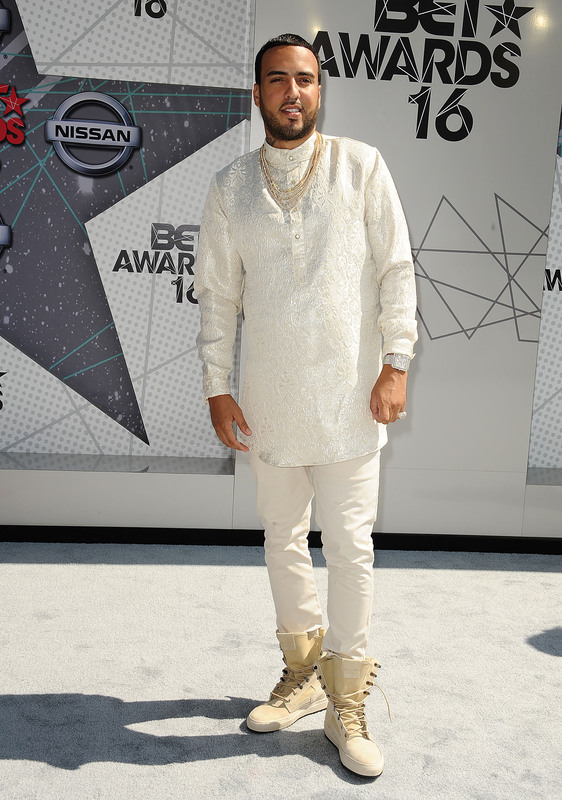 Rapper French Montana paid tribute to his North African heritage (Montana was born in Rabat, Morocco) by wearing a classic cream jacquard tunic, trousers and sneakers. LOS ANGELES, CA – JUNE 26: EJ Johnson attends the 2016 BET Awards at Microsoft Theater on June 26, 2016, in Los Angeles, California. EJNYC star EJ Johnson sported a sheer black, blouson-sleeved jumpsuit with a deep V-neck. He paired the look with a lariat necklace and fringed, snakeskin belt. LOS ANGELES, CA – JUNE 26: Singer/actress Jennifer Hudson attends the 2016 BET Awards at the Microsoft Theater on June 26, 2016, in Los Angeles, California. Oscar and Grammy Award winner Jennifer Hudson wore a white custom Siriano minidress with a hood — very reminiscent of the white hooded suit worn by Prince at the 2005 People’s Choice Awards. LOS ANGELES, CA – JUNE 26: Rapper 2 Chainz attends the 2016 BET Awards at Microsoft Theater on June 26, 2016, in Los Angeles, California. 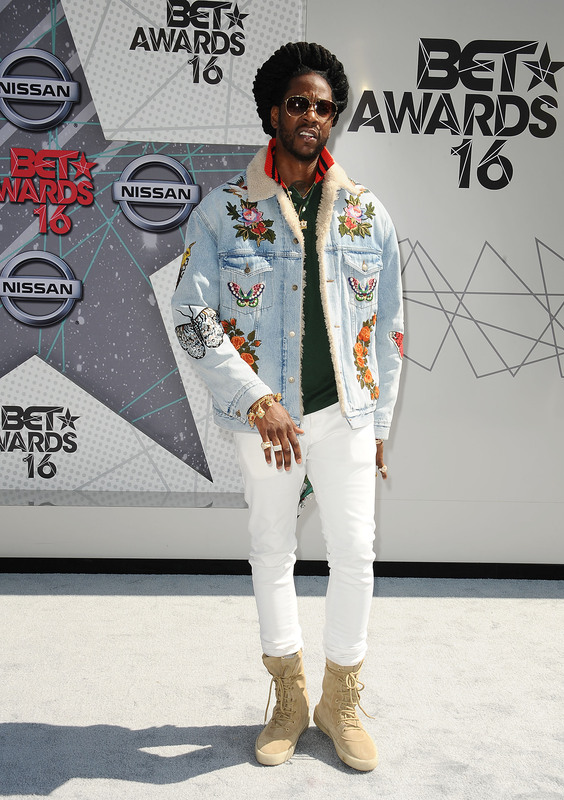 Despite the 84-degree temperature in Los Angeles, rapper 2 Chainz wore a Gucci pre-fall 2016 embroidered denim, shearling-lined jacket and Yeezy 2 crepe-soled boots. Singer Alicia Keys arrives at the 2016 BET Awards in Los Angeles, California, on June 26, 2016. 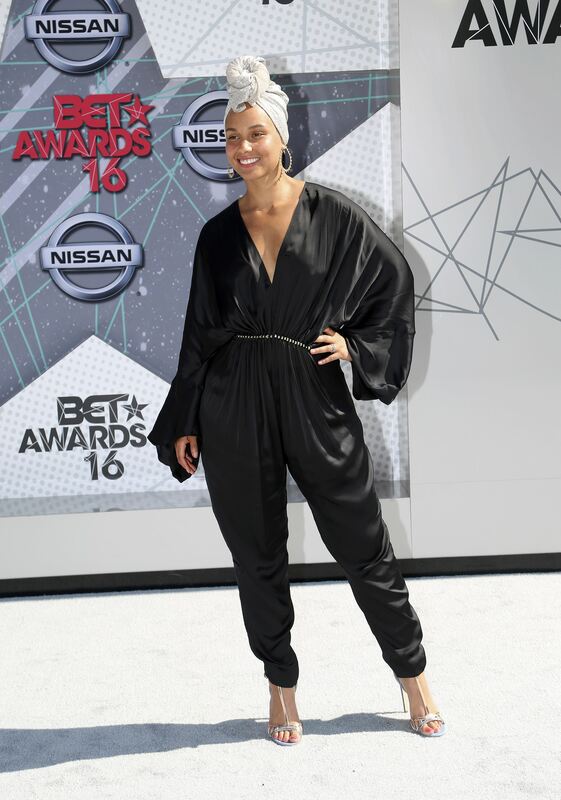 Singer Alicia Keys paired a black silk jumpsuit with strappy sandals and a metallic turban. And she was giving us life with her fresh face! Presenter Taraji P. Henson takes the stage at the 2016 BET Awards in Los Angeles, California, on June 26, 2016. Actress Taraji P. Henson rocked a black strapless bodysuit and completely sheer midi-length pencil skirt. Actor Morris Chestnut arrives at the 2016 BET Awards in Los Angeles, California, on June 26, 2016. 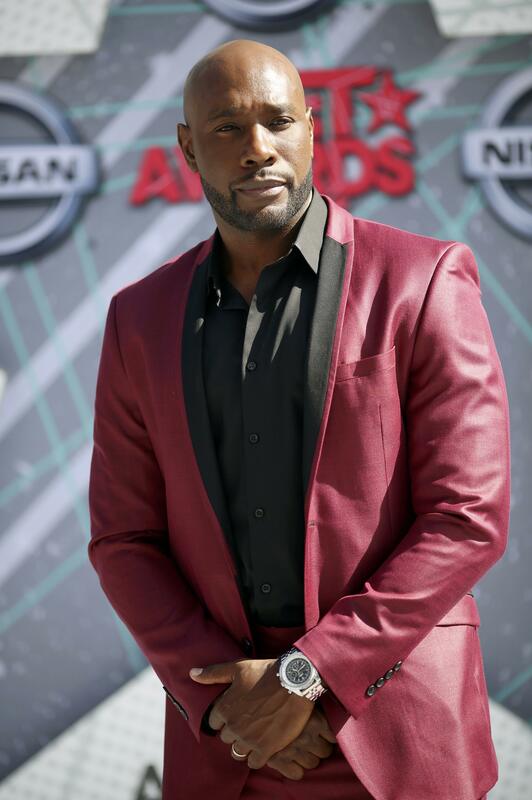 Actor Morris Chestnut’s silk burgundy suit, worn with a black shirt, had him right on trend with the color combination of the year. Actress Yara Shahidi arrives at the 2016 BET Awards in Los Angeles, California, on June 26, 2016. Blackish star Yara Shahidi rocked a colorful sequined, spaghetti-strapped dress by Tracy Reese.